Once you have inspected the interior of your potential new home for its eco-friendliness, it’s time to go outside and check out the exterior and landscaping. What to look for: Natural or as close to natural is what you are looking for. 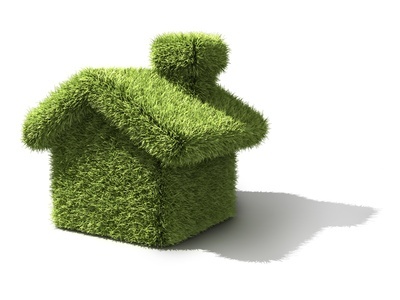 Check that home’s exterior was built with products containing zero volatile organic compounds, or VOCs. Recycled products are always a good idea as they save the landfills and reduce the demand for new factory built fabrications. Check the location: A home that is built in an automobile dependent area doesn’t completely negate the eco friendly features of the home, but it doesn’t really help either. For a true eco-friendly home many of your daily excursions should be able to be made on foot or bicycle. Look for a home in a area where shops, grocery stores, parks and schools are within this distance. Inspect the yard: As beautiful as a green grass lawn looks, it requires a great deal of water to maintain. A better alternative is to plant indigenous plants that are accustomed to the local climate and need less water to survive. Think English gardens, full of plants, flowers, walk ways and little spots for entertaining. These types of gardens offer a drought resistance while still giving you a beautiful backyard. For those who must have green grass many companies now offer low-mow, low-grow grass that uses less water and needs less attention and maintenance in order to stay green. If you decided to purchase a home that has not had a green update then be sure to check the Energy Star website to see if any of your future eco friendly purchases qualify for the federal tax rebate.